Recently, action sports brand Quiksilver teamed up with Cuker’s design and development teams to perform a complete overhaul on their blog, The Mountain and the Wave. 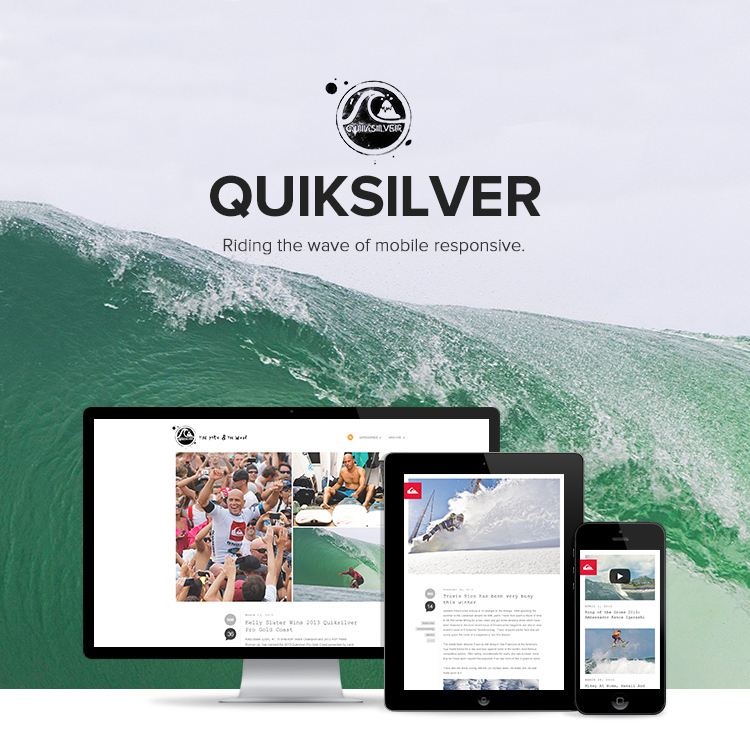 Cuker worked with Quiksilver to re-design and restructure the blog in a way that delivered a cohesive brand experience to their community across any device. By integrating a progressive layout and design, Cuker was able to deliver an innovative mobile responsive user experience. Check out their new blog here. Published on June 27, 2013 .